← 7-Eleven coming to Jacksonville? If you haven’t been to Sakura on San Jose Boulevard at the intersection of Sunbeam Road, you’ve been missing out. 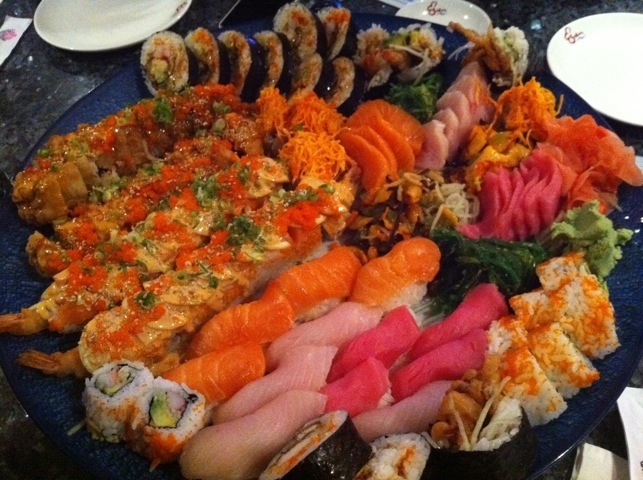 One of Jacksonville’s first Japanese Restaurants, Sakura has shown it is the premier in Sushi. Stop by and say hello to Paul at the Sushi Bar, and try his own, the Paul Roll. A unique roll filled with shrimp tempura, topped with lemon wedges and shrimp sauce make it legendary. This entry was posted in Uncategorized and tagged best of, dinner, food, jacksonville, Japaneese, lunch, Sakura, sushi, Sushi Roles. Bookmark the permalink.